Searching For Interior Painting in the Chattanooga Area? Is the interior or your home not looking its best? Well if it’s not up to par with the exterior of your home, then get a Chattanooga interior painting service from Williams Painting Company. We were founded in 1989 by Joe Williams. Since then, we have been specializing in residential & commercial painting. We have painted numerous homes in the community and would love to paint your walls. 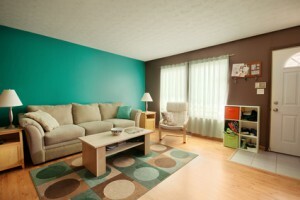 Before your interior painting begins, pick you colors that are able to add depth to your room. When you use the right colors, you can transform a normal room into one that’s a little more spectacular. The best thing about interior paint is; if you get a color that you’re unhappy with, you can paint over it. The square footage of the room in which we’re painting is a factor to consider. There are lots of other factors that go into our interior painting, but we only need enough paint to cover your walls. Less is sometimes better in this case. After you choose your paint, we then start the preliminary process which is going over your walls covering all of the imperfections. No wall is perfect and will need something to cover up dings and small holes. Your Chattanooga interior painting is then ready to go after your walls are prepped. Before applying interior paint to your walls, you’ll need a base coat which is a primer. Primer allows for a good quality paint job to be done. If you had to spackle your walls, then you’re going to need a coat of primer before the painting begins. We always start with brushstrokes before any rolling begins. Brushwork done in corners makes it easier to get into the tight places. After the brushwork, we then get into the rolling part of your interior painting. Rolling flattens out any brushstrokes that are left behind. This will allow for an even painted surface. 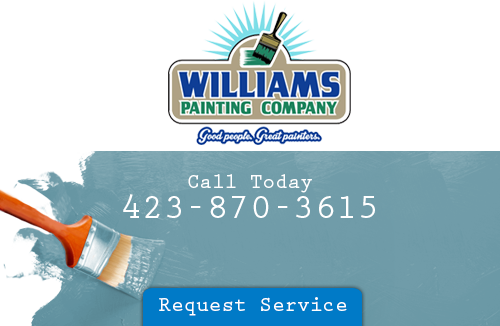 Make sure and contact Williams Painting Company when you’re ready to update the interior of your Chatanooga home. We’ll make the inside of your home beautiful again. We’re the choice painters in the Chattanooga area. When you want the very best for your home, all you have to do is call. If you’ve been down lately, then maybe it’s due to a lack of color in your home. Why stare at those same ordinary walls when you can add some spice to them? The only way to add more spice is to hire a professional interior painting service. You’ll always get a good interior painting from the experts at Williams Painting Company. Your choice Chattanooga interior painting specialists are waiting to make your home special again. If you’ve been missing that love & feeling for your home, then give Williams Painting Company a call. If you are looking for a Chattanooga interior painting contractor, please call 423-870-3615 or complete our online request form.